Turkey’s president said Wednesday he would speak with Russian counterpart Vladimir Putin in an effort to rescue a ceasefire deal which would allow civilians and rebel fighters to be evacuated from Syria’s Aleppo. Turkey, Russia and rebel groups on Tuesday confirmed an agreement had been reached for civilians and opposition fighters to leave Aleppo, Syria’s second city. If implemented, the deal would mark the end of opposition resistance in Syria’s second city after years of fighting and a major victory for President Bashar al-Assad. Deadly clashes erupted in Syria’s Aleppo on Wednesday, putting the deal for the evacuation of rebel areas on hold. Moscow, a key Assad ally that launched an air war in support of his forces last year, said the Syrian army resumed its operations in Aleppo after “an attack by the terrorists was warded off”. But Erdogan accused Assad’s forces of breaking the deal and attacking civilians. “We were hoping that a process of evacuation had begun for civilians and opposition from east Aleppo as a result of negotiations that I personally followed, unfortunately missiles have begun to be launched again,” the Turkish president said. “Therefore, we remain cautious,” he said, adding that the implementation of the ceasefire was the “last hope” for the people in Aleppo. Erdogan also hit back at the United Nations for its failure to create a safe zone inside Syria to shelter Syrian refugees and said Turkey would host those fleeing from Aleppo if necessary. “Hey the United Nations, where are you?” he said. 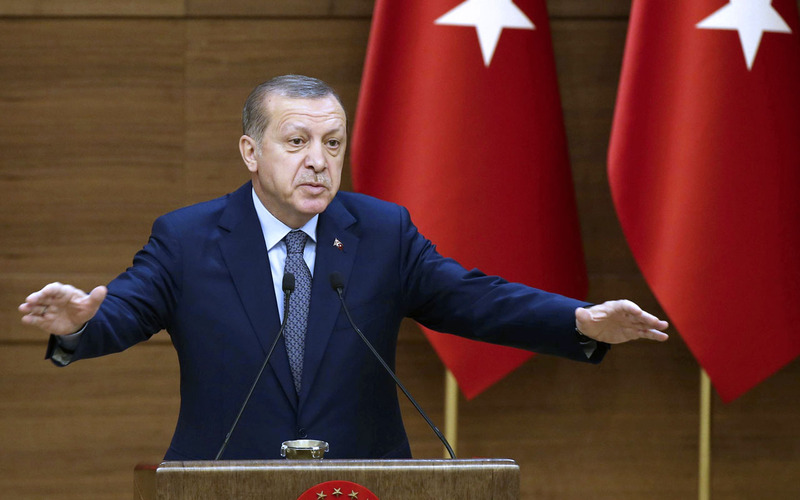 Erdogan said Turkey finalised preparations for civilians to be evacuated from Aleppo to to the western Syrian city of Idlib near the Turkish border. “We are also ready to embrace those who will come to Turkey,” Erdogan said. Turkish Deputy Prime Minister Mehmet Simsek said on Tuesday that Ankara would “set up a tent city to accommodate up to 80,000 Syrian refugees fleeing Aleppo”.